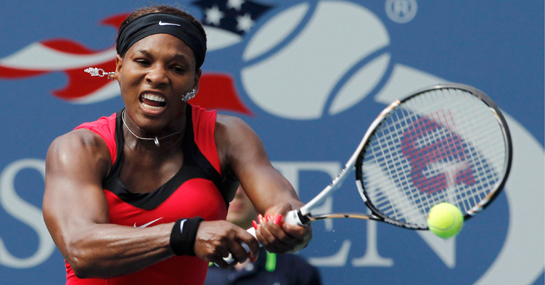 Serena Williams has steamrollered her way through the US Open thus far and although Caroline Wozniacki is deemed the number one player in the women’s game according to the WTA rankings, there seems little she can do to prevent another Williams victory. The American is yet to drop a set in reaching the semi finals and has beaten some more than useful opponents along the way, including Victoria Azarenka, Ana Ivanovic and Anastasia Pavlyuchenkova. It is 1/5 in the US Open tennis odds that Williams also beats Wozniacki and 4/7 that she collects another success in straight sets. Despite her lofty status in the rankings, Wozniacki has only previously reached one Grand Slam final, but this was at the US Open in 2009. Wozniacki has also lost both of her previous meetings with Williams, but will certainly feel she has nothing to lose and therefore may be prepared to go for her shots. The Dane has a solid forehand that could cause problems and if this is on song, 7/2 may be a big price that she can achieve victory. Whoever wins this match will undoubtedly be favourite to win the US Open as the other semi final is being contested by Sam Stosur and Angelique Kerber. Stosur is the heavy favourite at 1/5 as she looks to become the first Australian female US Open winner since 1984 and the vast topspin she puts on her serve may be something that Kerber finds too much to handle. The Australian also has the experience of having previously reached a Grand Slam final and should be high on confidence after eliminating number two seed Vera Zvonareva in the last round. Kerber is undoubtedly the surprise package of the tournament, but the draw has been relatively kind to her and this is her biggest challenge to date. It is 7/2 that Kerber beats Stosur to reach her first final, emulating the run of compatriot Sabine Lisicki at Wimbledon earlier this year.